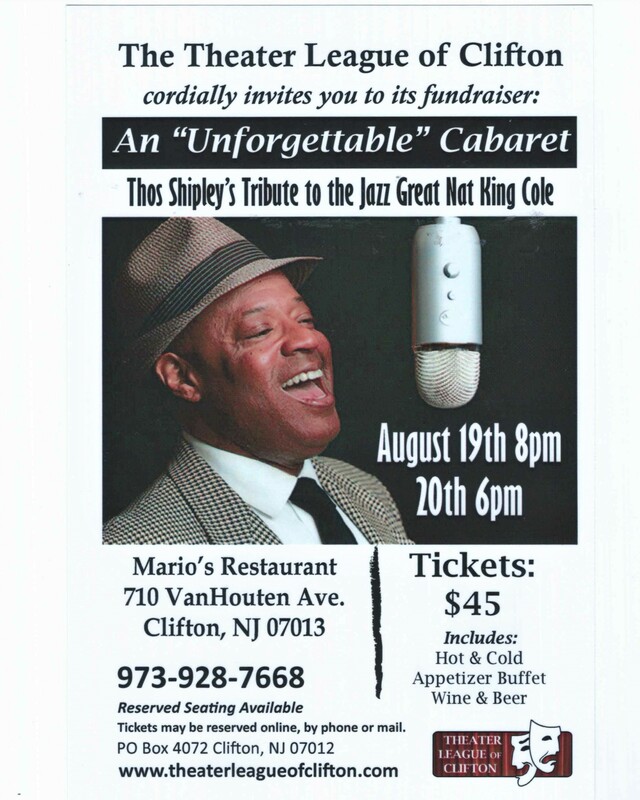 WHEN: Saturday, Aug. 19, 8 p.m. and Sunday, Aug. 20, 6 p.m.
WHERE: Mario’s Restaurant, 710 Van Houten Ave., Clifton. TICKETS: $45 per person, which includes a hot and cold appetizer buffet, wine, beer and soda. Depending on availability, a limited number of tickets will be sold at the door. Tickets can be reserved online, by phone or by regular mail (PO Box 4072 Clifton, NJ 07012). 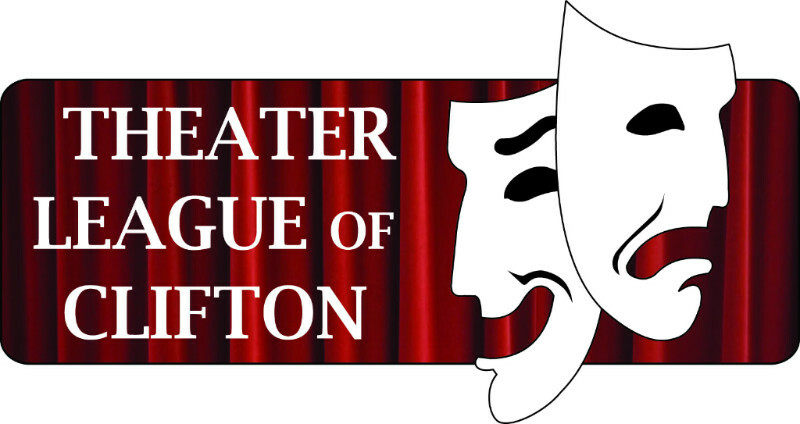 To reserve tickets, call (973) 928-7668, or visit the theater league’s website (http://www.theaterleagueofclifton.com). An international performer based out of New York City region, Thos Shipley performed the role of John in the Original Broadway Cast of “Miss Saigon,” and is a five-time MAC award winner (Manhattan Association of Cabarets and Clubs) for “Outstanding Jazz Vocalist.” Shipley studied acting, dance and theater at the Lee Strasberg Theater and Film Institute in New York, and has performed at venues in Atlantic City, Manhattan and worldwide.